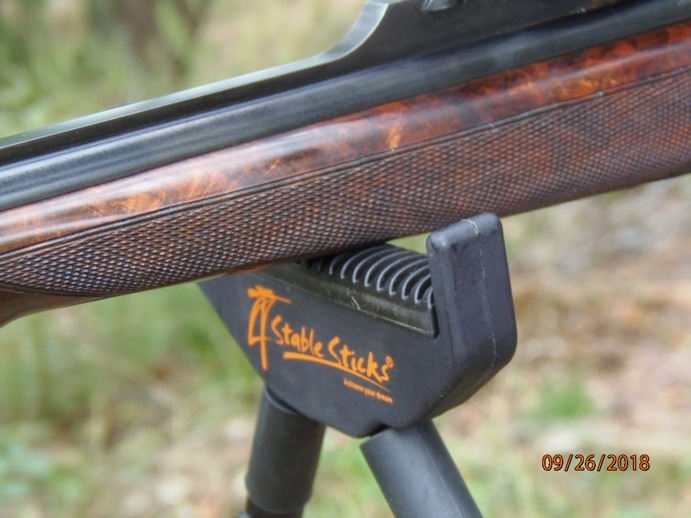 An innovative shooting stick that offers a stability practically equal to a shooting bench. Amazingly, it weighs only 1.5 Lbs. 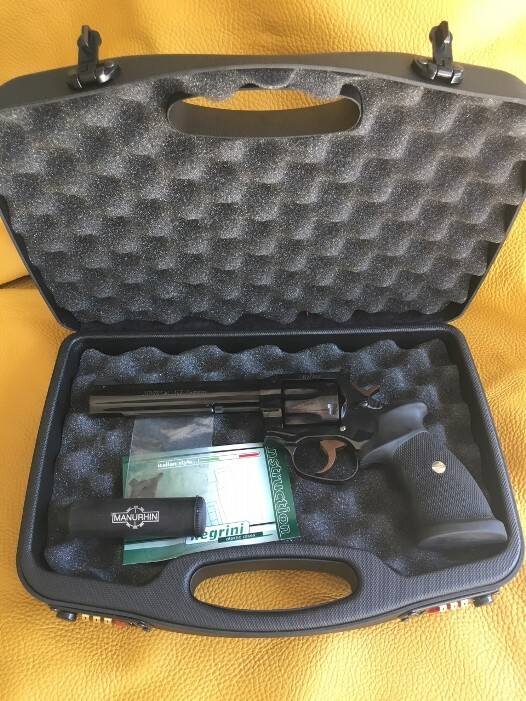 on average and once folded, it will fit in a gun case or on the dashboard of your truck. 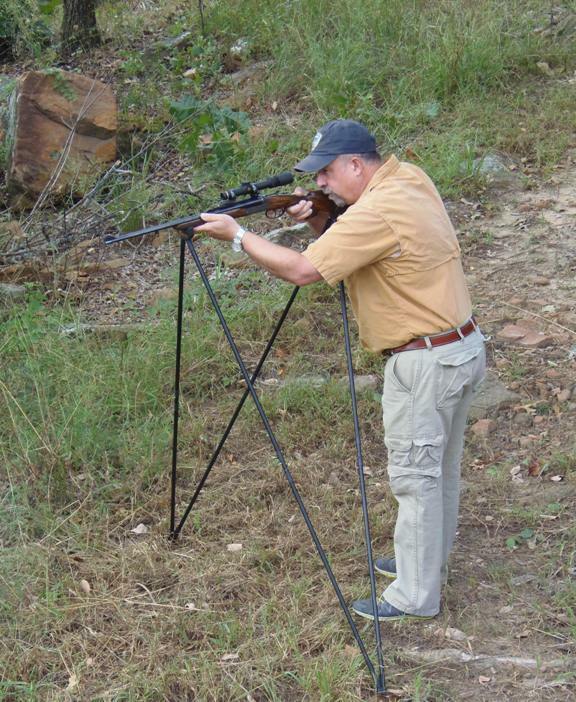 It is easily adjustable in height, windage and elevation. . I have tested it with double rifles and it does NOT affect the regulation. We are taking orders now. The first delivery is expected in December. 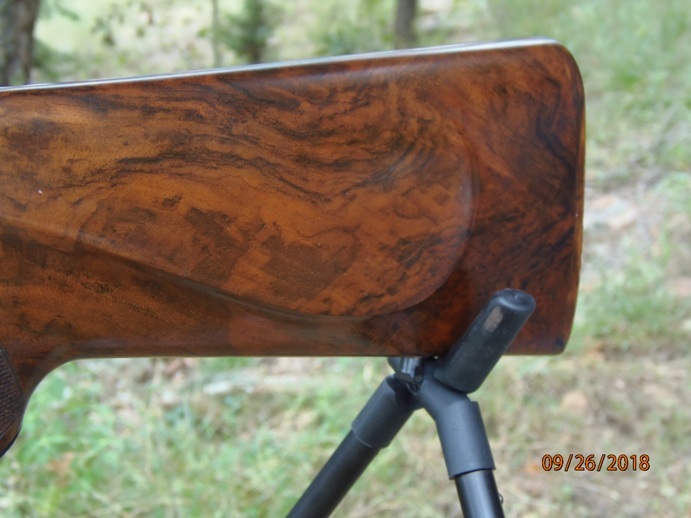 on November 10 & 11 and at the Dallas Safari Club in January. Please call or email if you have any question! Are you ready to become a proud owner of a Manurhin revolver? 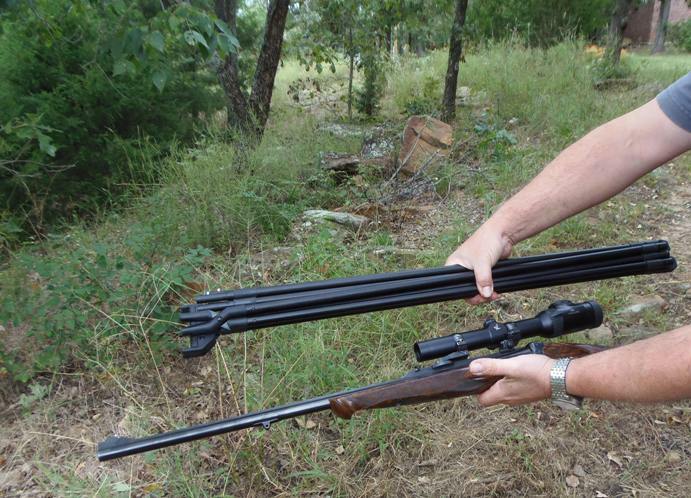 We have just received some MR73’s in 4″, 5 1/4″ and 6″ barrels. Also available, MR38 Match 38SP cal 5 3/4″ barrel. Don’t hesitate to contact us, if you are interested! 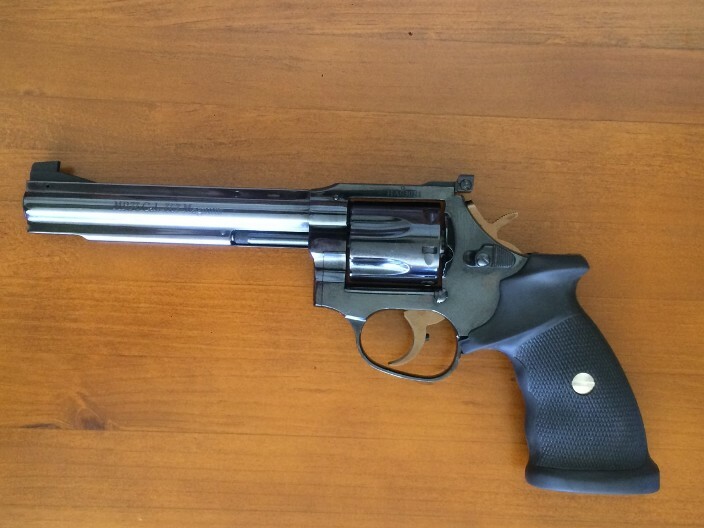 Only 6″ barrel left on the Manurhin revolvers! to see what else is for sale! Brand new Manurhin revolvers in stock, available now! Delivered with cleaning tool kit. with payment by credit card. 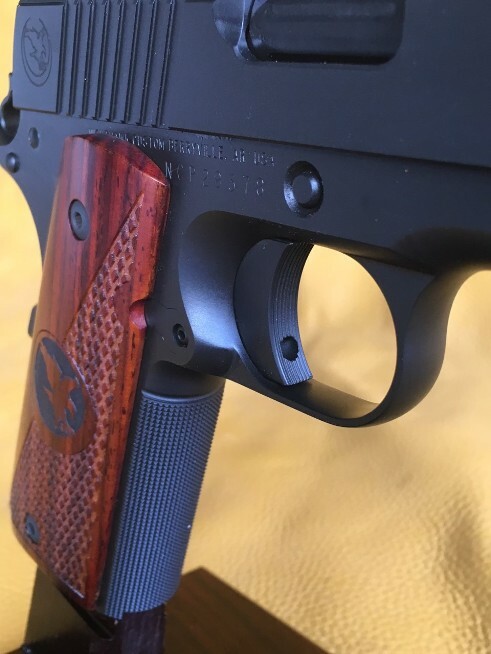 Also, 2 styles of wood grips available. 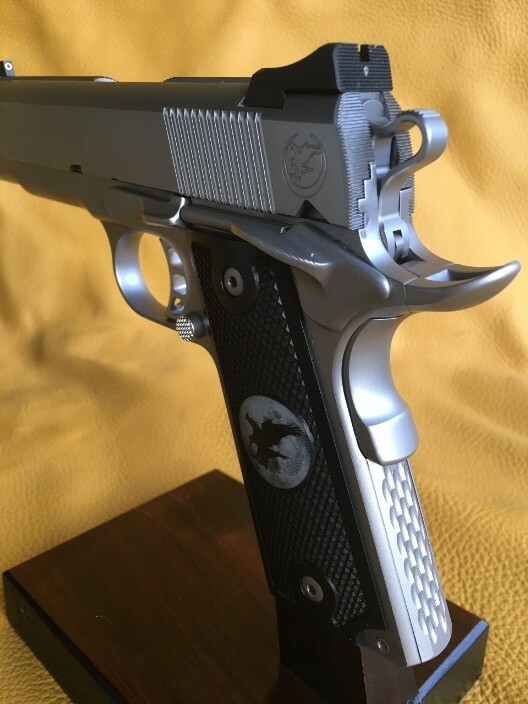 Considering the high demand for the quality Manurhin revolvers, I have decided to bring to my customers the greatly regarded custom Colt 1911 made by Nighthawk. 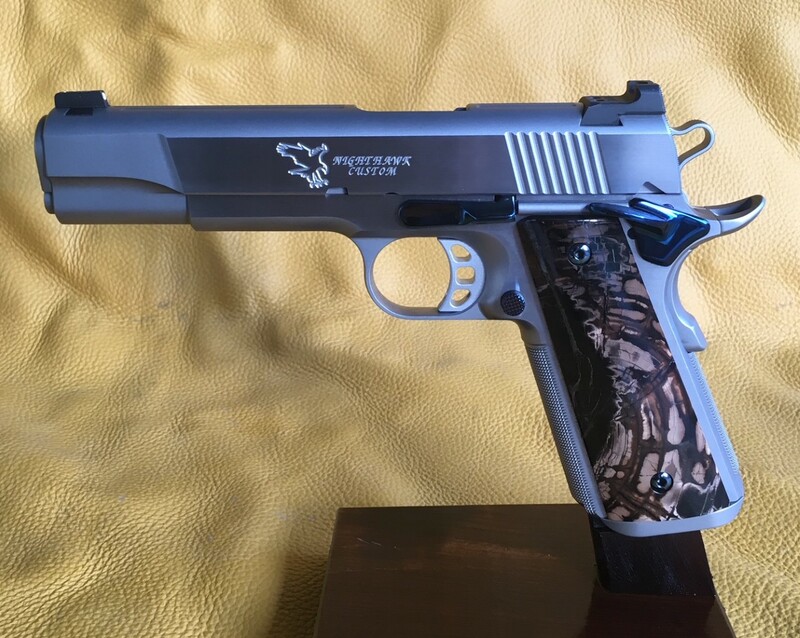 They are manufactured in Arkansas, with high grade material, state-of-the-art machining equipment and a “one gun, one gunsmith” true custom approach. I appreciate the tight fitting tolerances that give the guns a “monolithic” feel and the super crisp finish. The feedbacks from the pistolsmiths, the professional press and the Colt 1911 aficionados are all stellar. You can find more pictures and the description of the 3 models I have in stock in the gun vault menu. Don’t hesitate to call or email me if you have any question. 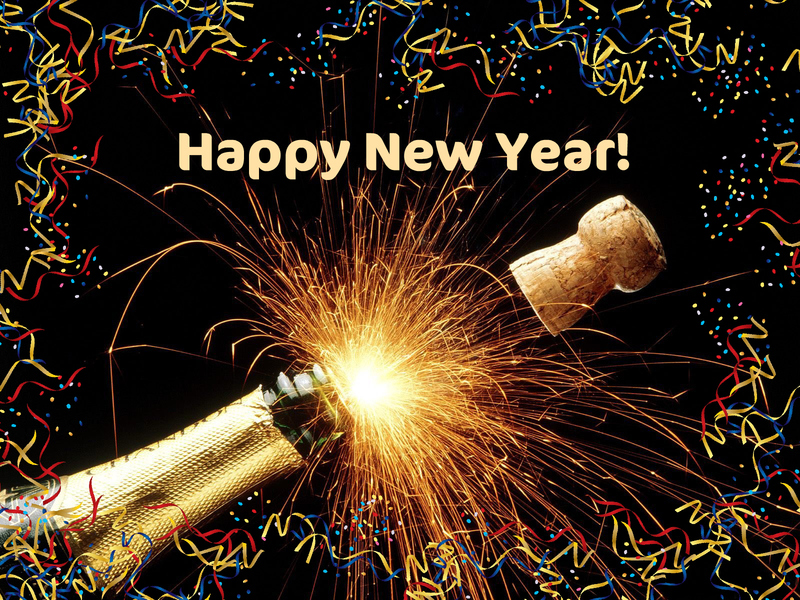 Best wishes to all of you for 2018 !!! 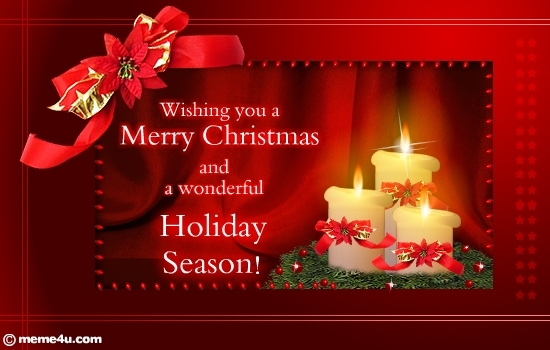 A very Merry Christmas to everyone !! !